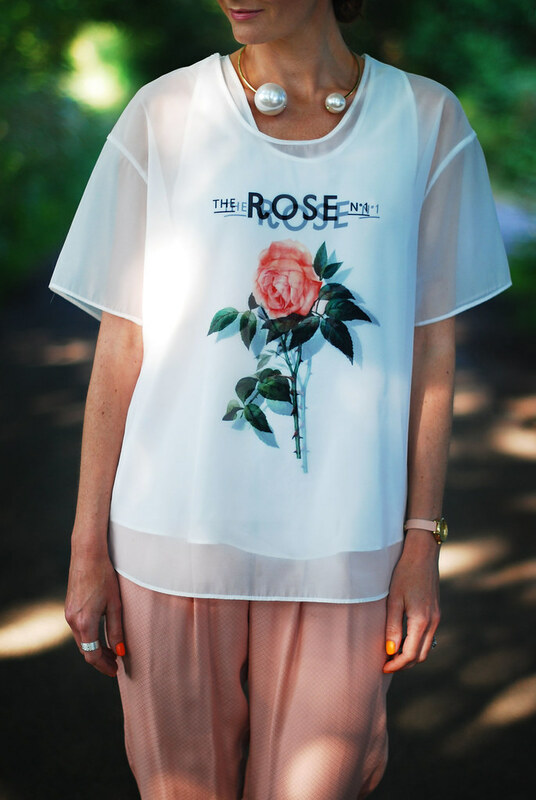 I’ll get straight to the point: I’ve been lusting after this two-piece sheer rose top for ages. It’s been sat in my online wish-list for what seems forever… and now it’s mine and it has made me so happy. Isn’t it ridiculous that a piece of clothing can do that to you? When I received it I practically did a “it’s so gorgeous I’m gonna DIE!!!!! !” as I unwrapped it. It’s from Front Row Shop, who have the most amazing selection of modern, on-trend and funky pieces I think I’ve seen since I discovered Asos nearly 15 years ago. 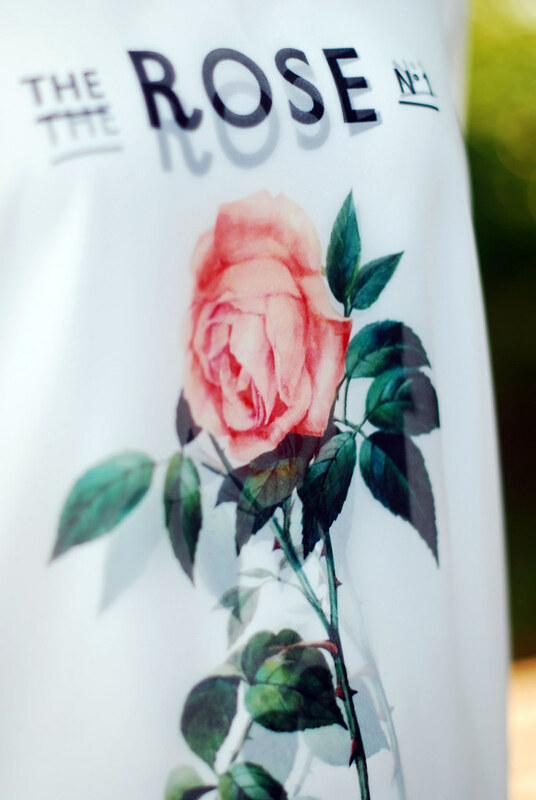 The top is in two parts, and both the tank and the t-shirt have the same rose print so it gives it this amazing out-of-focus effect. While I was shopping on their site I saw another covetable item: the double pearl necklace inspired by the Chanel SS14 collection. These two together, for me, were heaven. I wore the outfit when I went to London to take part in the filming of a video for the launch of Bare Mineral’s new liquid foundation, so when the video is launched I’ll let you know and you’ll see the outfit in all its glory then. I’ll be honest and admit these were taken on a different day… I was so tired and the top was so creased (that’s a day in London and a long train journey for you) that I decided to wash it and photograph it another day. My new favourite outfit ever? Maybe. I did have two ladies come up to me in the street and compliment my outfit – it made my day, especially as I was in the highly fashionable area of Kensington and Chelsea…! Have you discovered any new-to-you brands lately? If so, what are they and what’s their style like? Do share in the comments (I love to look up great brands I’m not familiar with)! 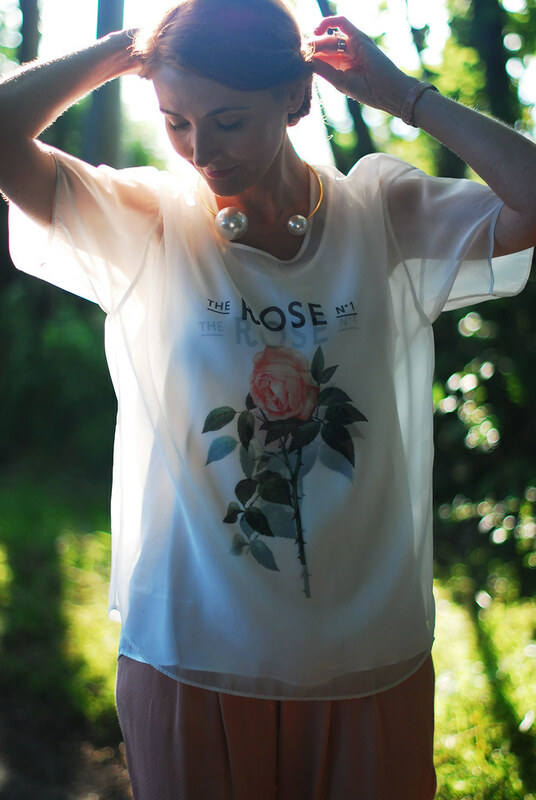 What a great sheer top! 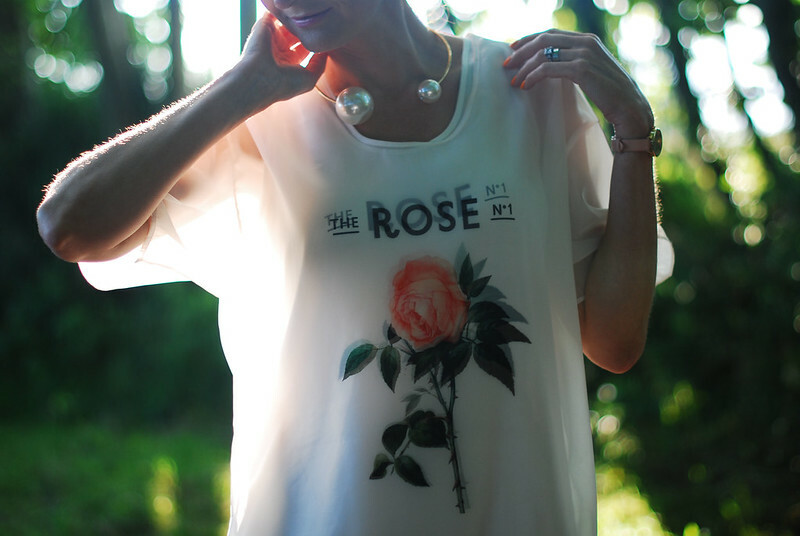 Catherine, after I saw the your first photo, I I was looking for the shirt on the website, it's so sad that is sold out :(. The effect is wonderful and definitively is a statement shirt. You look gorgeous -head to toe- I love the entire assembly! Thank you for being such a good friend and part of the family of Share, dear catherine. Catherine this outfit is super special. You look amazing and that necklace is so beautiful, I could sit and stare at it for ages and never get tired of it. Awesome!!! Hello Catherine! Look at you gorgeous!!!! 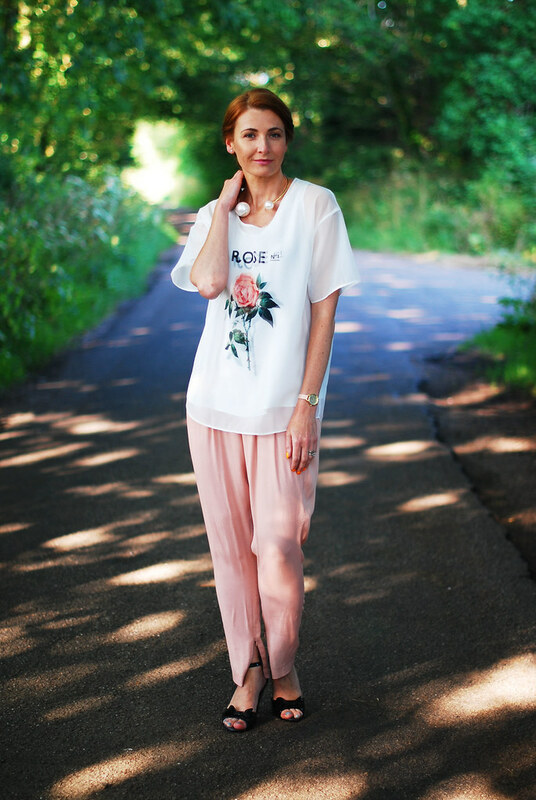 Your ethereal top is fabulous, and I love how you styled it easy chic! The colours also flatter your hair and skin tone. Brilliant! Fantastic style! I love this outfit, head to toe. Wow, that outfit is pretty special!!! Fun top, well.. tanktop and top. You have to focus your eyes a bit haha. Any new brands? For me that is Denham for (skinny) jeans. Perfect jeans. Not cheap, but I wear them a couple of times a week. It is getting boring but that means good value. I love the 3D effect the layers produce. The whole ensemble is just soooo eezy, breezy summer. That said, however, I am truly wild about the necklace!! Looking at your lovely face and form, it reminds me of how much I miss my 40s. Enjoy them while you have them. I can't wait to see the Bare Minerals campaign you've been working on! Really want to try their new foundation and you looked great in the Instagram pic! well, what can i say? 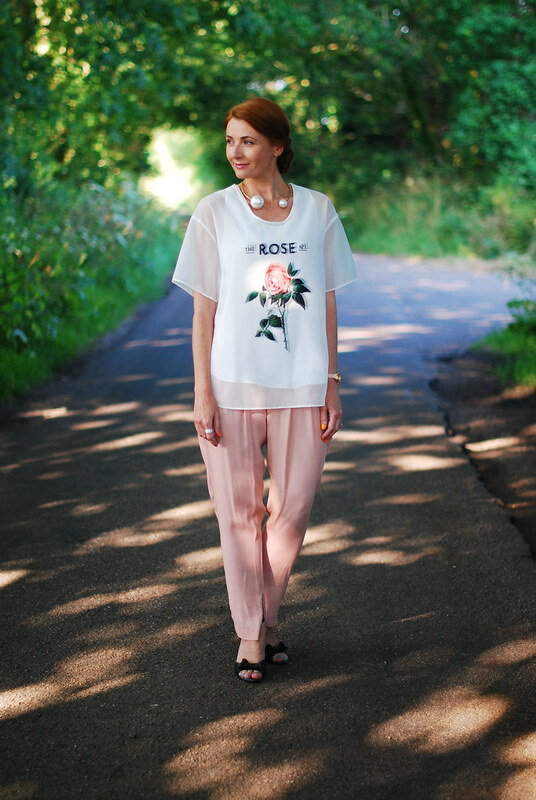 the beautiful top, the amazing on trend necklace and the absolutely perfect photos.. consider me blown away. The lighting is so perfect here (you have trained Keith so well haven't you!heehee) and can i just also lastly gush over how beautiful your hair and makeup look here. You look so fresh and beautiful yet classic all at the same time. I definitely want to read a makeup/skin care post from you soon missy!! I need tips! So gorgeous, Catherine, immediately thinking of "England's rose". 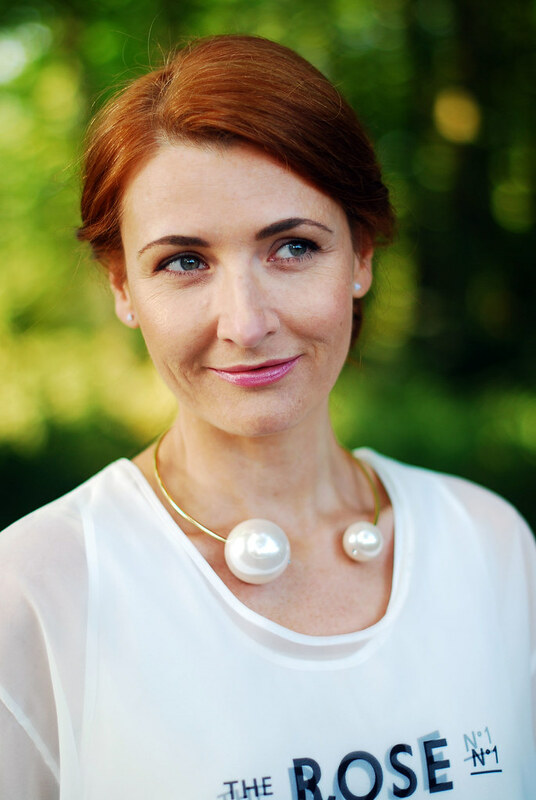 The sunlight and necklace add an extra portion of beauty and elegance to your look. On another note, the last photo is just gorgeous!!! Very-very beautiful!!!!!! Isn't it a beauty, Adele? I'm glad you love it too!